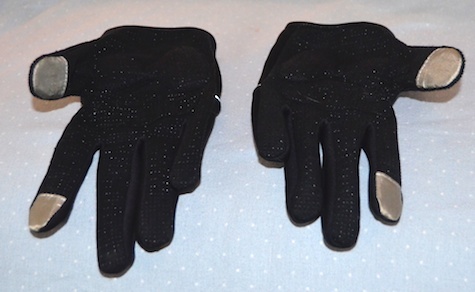 The Cipher Cycling Gloves come with a patch of conductive fabric on the thumb and index finger that makes it possible to use touch screen devices like the iPhone without removing your gloves. 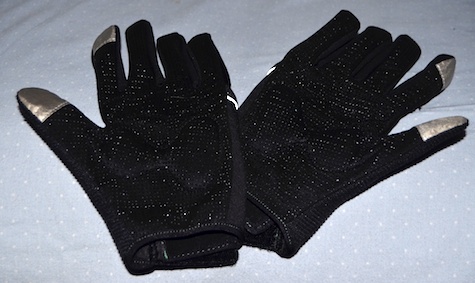 The gloves have padded and reinforced palms, as all cycling gloves do, to soften the vibration coming from the handlebars. Several companies make similar tech friendly gloves and charge $20-$30 more for them, though they’re not much different from these from Biologic. The pads on the thumb and index fingers work well, but if you’re ordering online, exercise caution when selecting your size. There’s a measuring chart on the website. 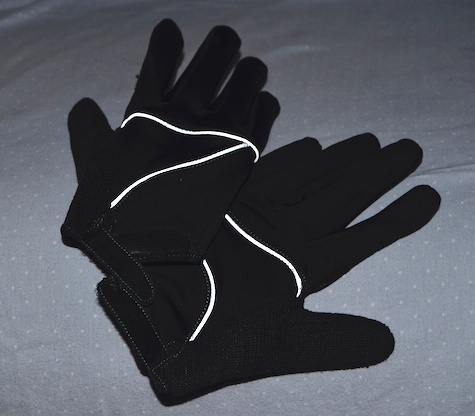 Using it and measuring carefully, I ordered the medium gloves and found them too tight. Also, they barely reach to the wrist. If you live in a cold climate, this is a factor worth thinking about. However, I used them on a morning when the temperature was in the 50s and they were plenty warm enough for that.